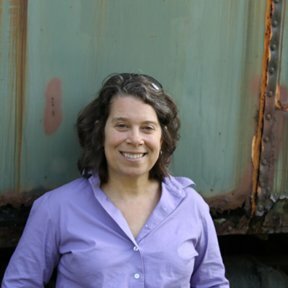 Kim is both a practicing architect and a landscape architect with her own firm, Salmon Falls Ecological Design, based in Shelburne Falls. She has been a frequent visiting critic at the school and joined the faculty in 2006. She has more than twenty years of experience with sustainable landscape and architectural design. Kim’s professional work is dedicated to creating designs that connect humans with the inherent power and beauty of natural systems. She has worked with several design firms on a diversity of projects including: the design of the Micmac Heritage Center in Northern Canada, the Jerusalem Science Museum, the Eric Carle Museum, and the design of a new town destroyed by a volcanic mudslide in Colombia, South America. Her current design practice focuses on the design of super-insulated passive solar homes, ecological landscapes, and co-housing communities. Kim is an accomplished designer with strong skills in conceptualization, drawing, and design communication. She is an enthusiastic teacher who encourages students to work and learn cooperatively. Kim is a part-time faculty member. She teaches site engineering throughout the year; in the fall and spring, she works with students in the studio and critiques weekly presentations.